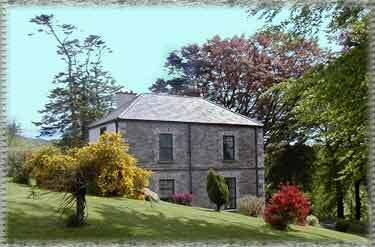 Knockrue House B&B is situated on a peaceful working farm, near Hollywood and Donard, on the main Dublin Blessington road (N81) to Baltinglass on the west of the Wicklow Mountains on the East Coast of Ireland. 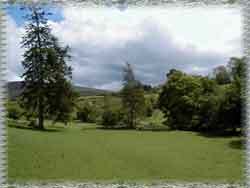 Nestled into a hill top, and surrounded by some lovely old trees, it has an incredible view of the Wicklow Mountains, with rolling fields, with sheep and cows in the foreground. It is easily reached from the famous Monastic Valley of Glendalough, over the Wicklow Gap, and can provide a pleasant stop for many visitors wanting a stay as they tour Wicklow.